East Bengal defender Salam Ranjan Singh could move to ATK at the end of the season, according to sources. Even FC Goa's forward Manvir Singh has attracted interest from Indian Super League (ISL) clubs Jamshedpur FC and Kerala Blasters. Salam Ranjan, the only player from the I-League who part of the Indian national team during the Asian Cup 2019, could end up becoming an ISL player too next season. On the other hand, Manvir could hope for more playing time in Jamshedpur or Kerala Blasters if he moves there. Salam Ranjan's salary is touted to be around Rs 70 lakh. Manvir has a year left in his contract and for his move to take place, Blasters or Jamshedpur have to pay a transfer fee to Goa. The 23-year-old Manvir has mainly made appearances off the bench for Goa, who are in the ISL semifinals. In 15 appearances, Manvir has scored once and provided one assist. 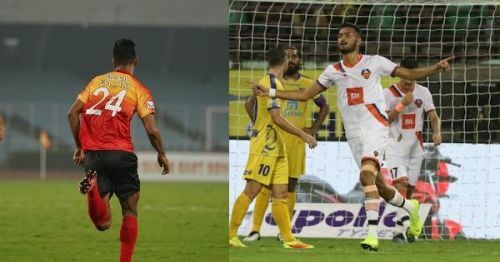 Incidentally, Manvir's only goal came against Kerala Blasters, the club interested in him, during their 3-1 win on November 11, 2018. The return rate may be poor but that's because Manvir has only got a playing time of about 256 minutes in Goa. Salam Ranjan too has had to be content with being a substitute for East Bengal, who could finish as runners-up in the I-League. The main reason for the lack of playing time for both of these players is because of the quality options available for the coach already. Manvir has to play second fiddle to Ferran Corominas, the leading goalscorer in the ISL, while Salam Ranjan has to compete for the central defender spot with Spaniard Borja Gomez and Johnny Acosta, a World Cupper for Costa Rica. ATK have Andre Bikey and John Johnson as the central defenders but Arnab Mondal is their only back-up. In Kerala's case, the Kochi-based club could be looking at Manvir as a replacement for CK Vineeth, who has departed for Chennaiyin FC and looks unlikely to return to Kerala. Jamshedpur have attacking options in Farukh Choudhary and Sumeet Passi already. Only if they are thinking of letting go of either of these players, a bid for Manvir would make sense. Let's wait to see what finally unfolds in the Indian football transfer market. ISL 2018-19: Poor Stadium Attendance - Are People No Longer Interested? ISL 2018-19: Kerala Blasters' Halicharan Narzary to follow CK Vineeth to Chennaiyin FC?